If you have ever wondered about creating your own ePub books from .docx, .mobi, .html, .txt, .etc. 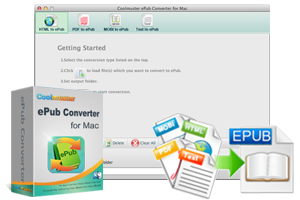 then Coolmuster ePub Converter for Mac gives you the ability to achieve it. With it, you can create and enjoy your own ePub eBooks on almost all portable devices as you like. Create ePub files from PDF, HTML, MOBI, Text and more other formats. All elements in the original files will be saved in the output document without any loss. Leisurely make most eBooks formats compatible with all ePub-friendly devices. Compare to other file formats like .mobi, .prc, .txt, .PDF, .etc, ePub format is probably the most common file format on the Internet. It is widely supported by a majority of eReaders. So it is needed to create your own ePub files in some specific situations. This recommended ePub Creator Mac features a powerful conversion ability, which enables you to create files from more than 4 different formats. Work independently to change Adobe PDF, MOBI, PRC, TXT TEXT and even HTML web pages into ePub format for reading on most ePub-friendly software or eReaders.Support eBook file of .txt, .docx, .html, .htm, .mobi, .prc, etc. For many book lovers, it is a great headache to find a good book. After getting a nice book, the next thing we need to take into consideration is the compatibility issue. 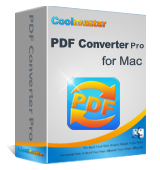 Once you owned this Coolmuster ePub Converter for Mac, you'll never worry about the compatibility issue. Read PDF, Text, HTML and even MOBI files on your EPUB supported devices like Apple's iBooks, Barnes & Noble's Nook, Adobe Digital Editions, Aldiko on Android among others (nearly 300) support .epub files. The entire original files will be converted and saved into ePub on Mac perfectly without any data losing. In order to improve the reading experience, so that you can enjoy your digital reading life well, this ePub Creator for Mac comes with customizing function, which enables you to do some necessary settings as you like. And it also supports users to import and convert a batch of files to ePub at one time. Batch adding up to 100 files to convert to ePub format at one time. When converting PDF file to MOBI format, you may choose to convert text mode or image mode optionally. 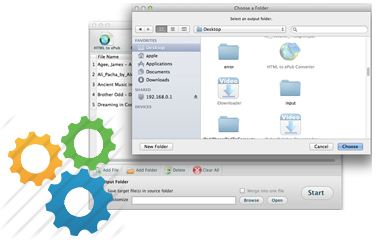 Allows you to rename new created files simply and directly. 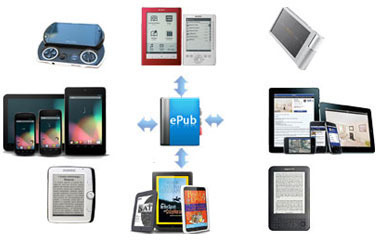 You may choose n multiple files to convert synchronously and will get n ePub files individually. Or you may choose to convert all loaded file to ePub format and merge all of them into one. No matter how many files you want to convert to ePub for reading, you can finish the conversion within a few clicks. Convert a 500-page document to EPUB eBook in less than 1 minute. 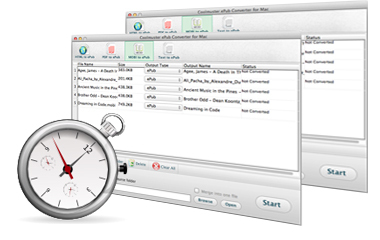 The read-only operations will not cause any data loss during the whole converting process. Support uploading multiple files at a time. Each legally registered user of this Mac ePub conversion tool is able to enjoy a convenient and free update after the automatic check for upgrades itself. The instructional interface and obvious options will bring you an extremely easy conversion experience as easy as 1-2-3. Only several simple operational steps needed. The process of converting/creating ePub books from other eBooks can be easily achieved in a super quick way. Remove password from PDF on Mac OS X could be a simple task for users who has a professional yet easy to use PDF Password Remover for Mac program. 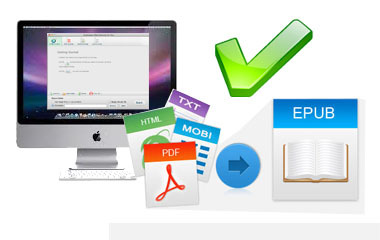 Conveniently export Adobe PDF files to MS Word, ePub, HTML, Text and Image formats on Mac OS X with zero quality loss. Cool Apps, Cool Life; Provide the most needed software for global users, improve the quality of life with science and technology. Join Our Newsletter Submit Successfully! Please select your question type and we'll guide you to the right service team. Terms & Conditions Privacy (UPDATED) License Agreement Uninstall Copyright © Coolmuster. All Rights Reserved.